The Great Firewall of China. The business and politics of censorship. Hundreds of American companies do business with and in China, from Apple, Best Buy and Cisco to Westinghouse, Xerox and Zale's. The relationship is good for both countries' economies, their workforces and expanding technology as well. But some people who have nothing to do with business or technology are starting to cause a rift in the relationship. And it all stems from what's called the "great firewall of China." The Chinese government, unlike the U.S. and most countries, bans a great amount of Internet activity, limiting and censoring much of the online content their citizens have access to. That doesn't please a lot of people in the U.S. and elsewhere who believe that Chinese citizens should have online freedoms just as citizens of most other countries do. These free-content advocates are mainly individual protesters and activist organizations. In China, censorship comes first. China's Internet censors take their roles seriously and whenever they see unauthorized content getting through, they'll take steps to block it from reaching its destination. They also threaten Chinese bloggers with jail time for spreading false rumors about the ruling Communist party. Agencies of other governments, such as the U.S. Federal Communications Commission, don't get involved to the same degree. They may have an opinion, but they wouldn't take measures to challenge the Chinese government's authority over its own citizens. American business focuses on business first and doesn't get involved in the free-speech issues of other countries. Internet freedom activists do more than express their opinions, however. They'll actively take steps to bring news from the outside world to Chinese citizens on the China mainland...via the Internet. 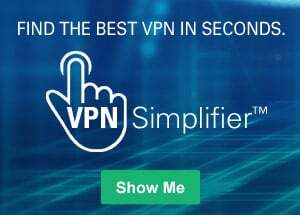 One way anyone can try to get around an Internet block is by disguising their Internet transmissions by using a virtual private network (VPN). But China isn't an easy obstacle for activists to sneak information by with your typical consumer-oriented VPN service. And that's exactly why U.S. businesses and technology have inadvertently been brought into the censorship mess. Many U.S. businesses use cloud servers that are run by huge U.S. companies—Amazon.com, Microsoft and others. These servers help the U.S. businesses store their data and move traffic on remote servers. In essence, these remote servers act as gigantic VPNs for large organizations doing business in China, where many of them have been active for decades now. By having access to these powerful servers, U.S.-based organizations can handle the massive amount of data needed to connect the two countries. But these huge servers are also available to any organization that wants to pay the usage fee. And that's where it gets tricky. Internet free-speech advocates have made their way into these business cloud services to get around the Internet censors in China and reach the mainland with their unfiltered Internet content. Imagine a few stowaways sneaking onboard a huge ocean liner, along with thousands of legitimate travelers. In this case, the stowaways are online activist organizations sneaking banned content to Chinese citizens, slipping through by blending in with the vast amounts of data U.S. companies are generating. What the activists are doing isn't necessarily illegal—but that doesn't sit well with the Chinese government. The Chinese Internet censors have caught on and are cracking down by strengthening content coming from the huge cloud servers. That has the potential to make it hard for U.S. companies to go to "business as usual." China's stepped-up responses might hurt U.S. technology providers' chances of expanding their business operations in China as well as in other overseas countries. That's why U.S. tech companies are careful about what they do and say. They want China to know they don't play a role in the Internet activists' schemes. One major technology company came out and said their "policies forbid customers from doing anything illegal on their computer networks anywhere...including China." But all this has caused some problems for the Chinese government too—with all the commerce that's been taking place, they have a huge market and need for cloud-computing technology...and it's only continuing to grow.